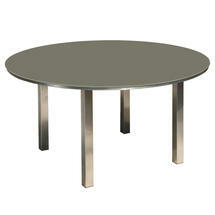 Large, round glass topped outdoor dining tables. 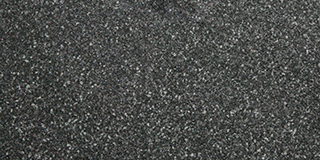 Unfortunatley this item is no longer available. 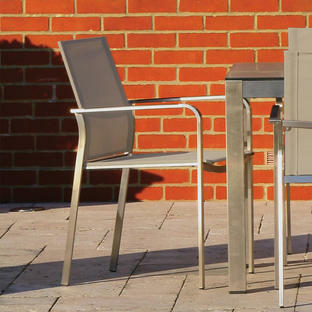 A sleek minimal look for your alfresco dining space, the Seattle dining collection is simple elegance. 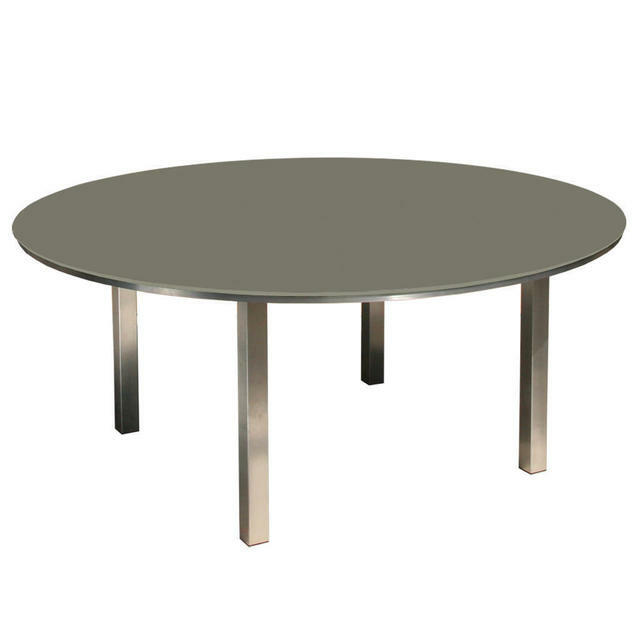 The Seattle round dining table is also available in both as a square dining tables and a rectangular table. 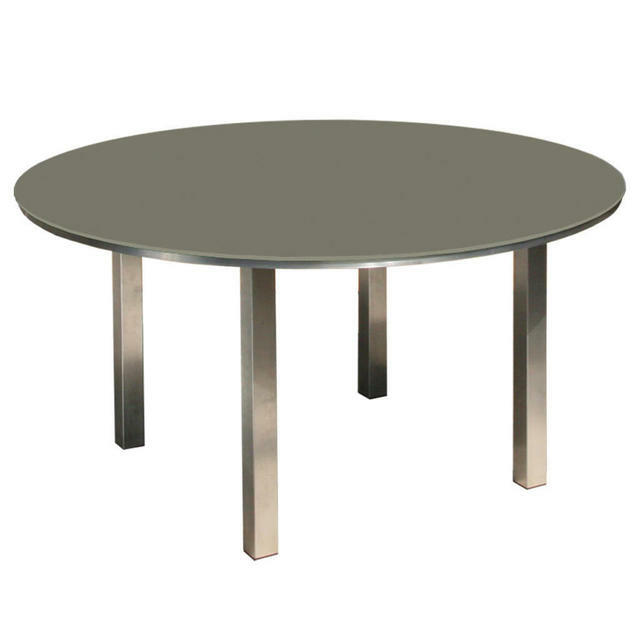 This round dining table has a stainless steel frame and comes with a choice of 2 different colour tops. 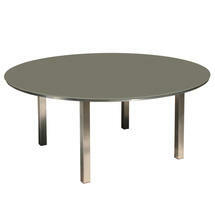 The 150cm round tables will seat up to 6 people. 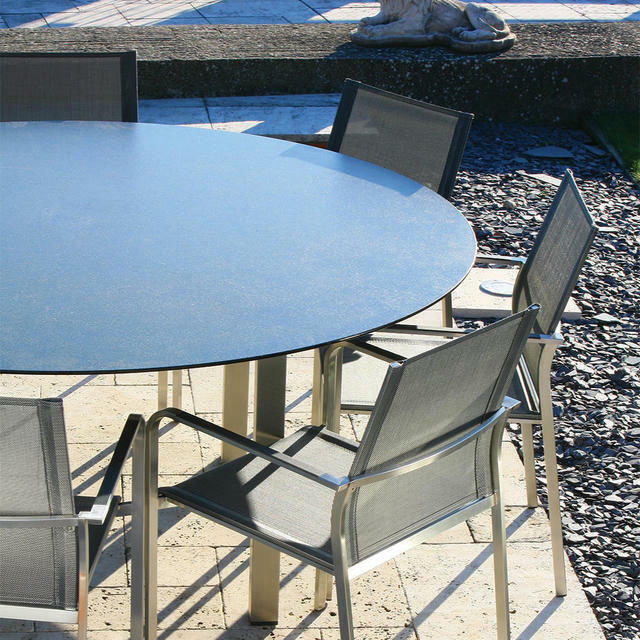 The 180cm round tables will seat up to 8 people. 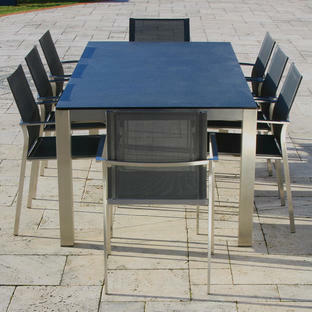 Co-ordinate the tables with the seattle armchairs as pictured. 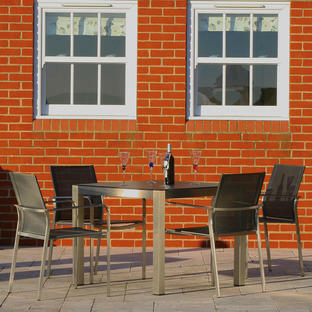 The collection is low maintenance, simply washing with clean water as required.